This week's PlayAsia Deals are out! Quite a decent game from what I have seen, price makes it a little more convincing. This is one game I'm considering getting.. not because I'm hugely interested in it.. but because I need a reason to buy the Ghost Recon figurine.. Pretty cool, don't you think? 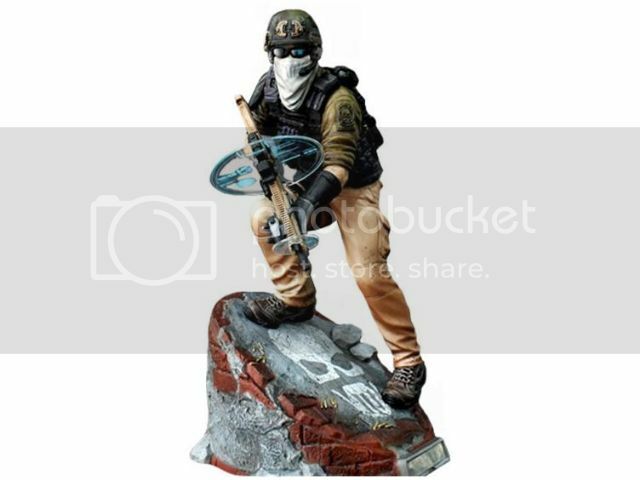 I have mentioned before I'm a fan of the UbiCollectibles statue line that includes most of the Assassin's Creed figures as well as several other Ubisoft published games but I don't want to buy a figure, for the sake of it. So hopefully, I would like to get the game and have some connection to it as well as the figurine itself. This game was nominated for 2012 Game of the Year and not without a reason. One of the best games adapted from comics. I have a friend telling me how good this game is. Might consider getting this too.